January The highlight of January weather was the storm system that moved through the state from the 13th through the 16th. 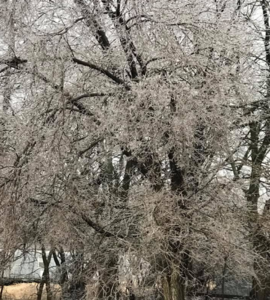 Eastern Kansas missed most of the ice, while Southwest Kansas saw significant icing followed by as much as 6 inches of snow. 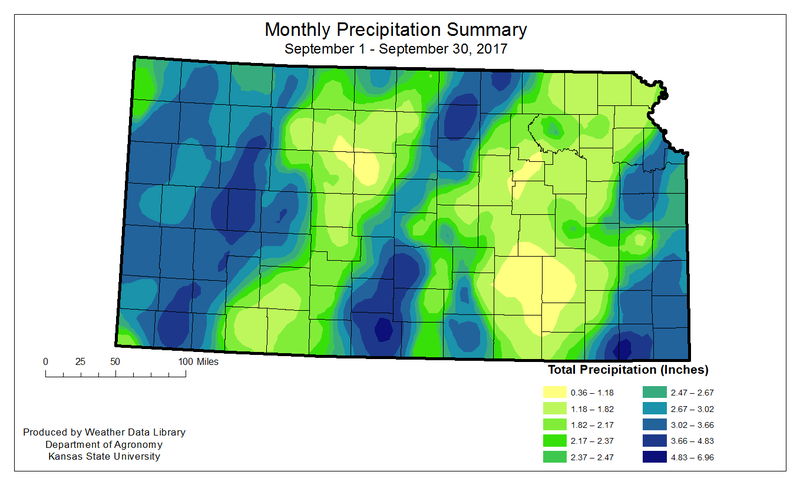 This event pushed the state-wide average precipitation to 1.60 inches, or 227 percent of normal. It ranks as the 7th wettest. February Warm, dry weather was the predominant feature for February. It ranked as the 7th warmest February on record. It also was very dry. 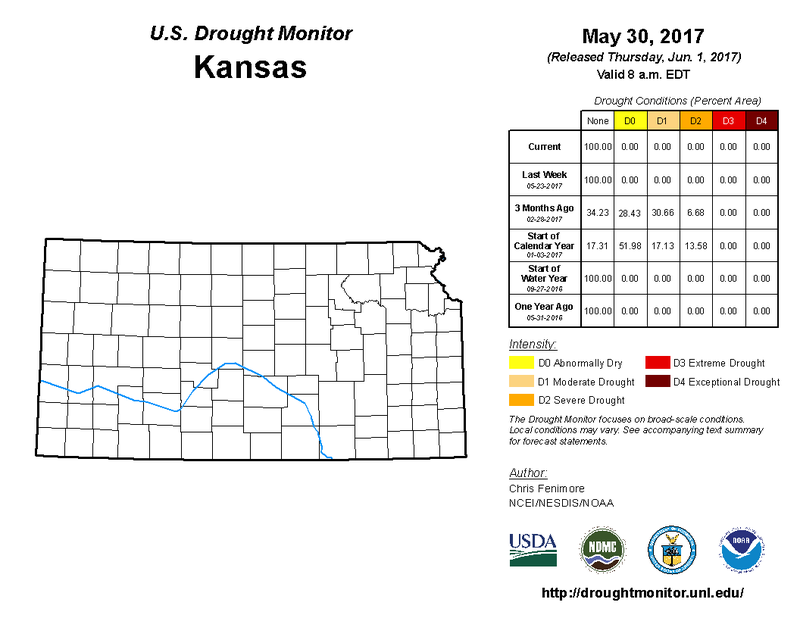 With a statewide average of just 0.23 inches, it ranked as the 14th driest since 1895. 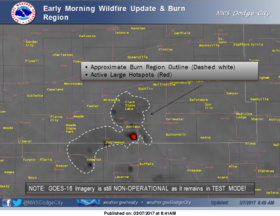 Fire danger was a major concern. March Although March ended on a wet note, it was the month of wildfires. There were thirteen major events on March 6th alone. One of the worst was the complex that affected Clark County. 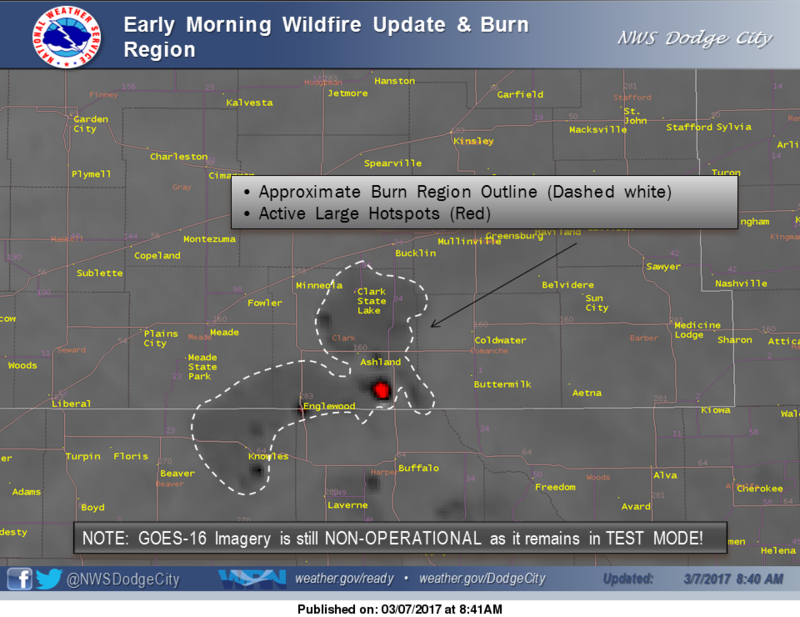 There were seven separate fires. Two moved near or through Englewood, originating in Oklahoma. Another consumed several homes just north of Ashland. Four others in northern Clark County consumed several homes initially but became a monster fire as the cold front moved through. Preliminary damages were estimated at over 3 million dollars, with miles of fence destroyed, an untold number of cattle killed and 425,000 acres burned in Clark County alone. April While much of the month was warmer than normal, the last week brought a return to cold, wintery weather in the western third of the state, and cold rainy weather in the east. Thirteen stations recorded record amounts of snow for a three-day spring storm ending on the 1st of May. 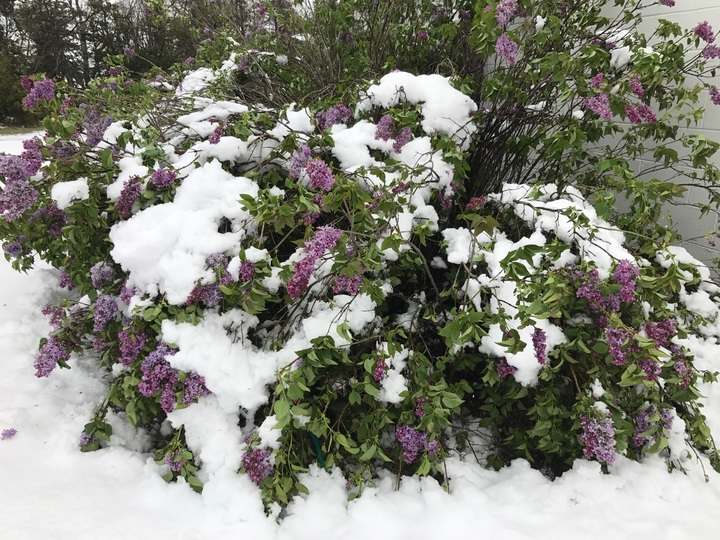 Tribune 1W, in Greeley County, reported 22 inches of snow in the event, with part of that total reported on the 1st of May. There were widespread reports of more than a foot of snow. This was complicated by strong winds, with averages over 30 mph for more than six hours, and peak winds in excess of 55 miles per hour. 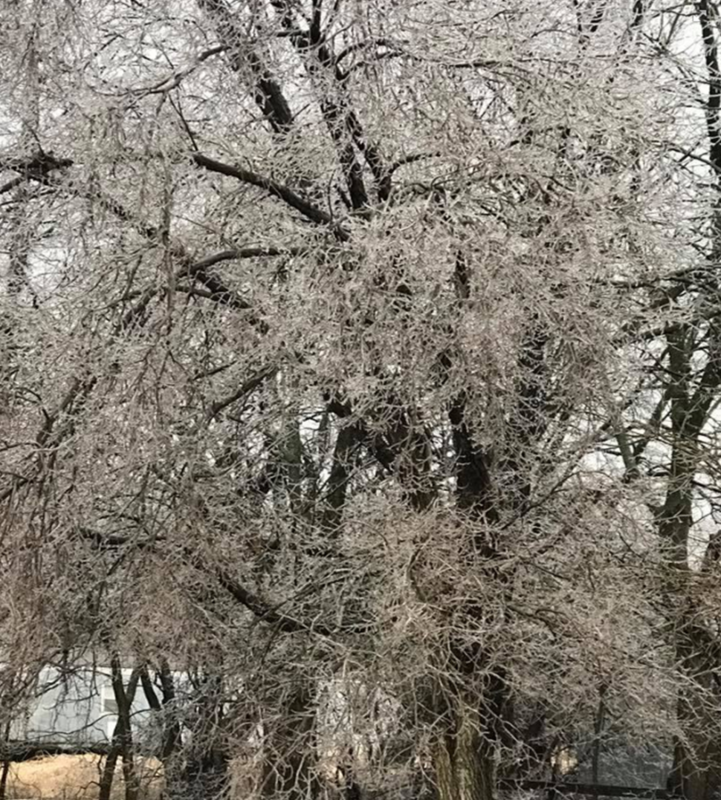 The storm also included cold temperatures with lows below the freezing mark each of the three days of the storm, with some locations reporting over 48 hours of below freezing temperatures. 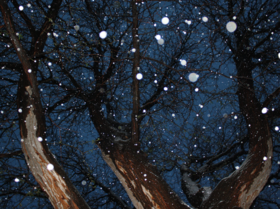 May After the remnants of the winter storm, an outbreak of typical spring severe weather occurred. There were 37 reports of tornadoes, 160 hail reports, and 106 high wind reports during the month. The largest outbreak came during the week of May 16th to May 22nd when 35 tornadoes and 123 hail events were reported. 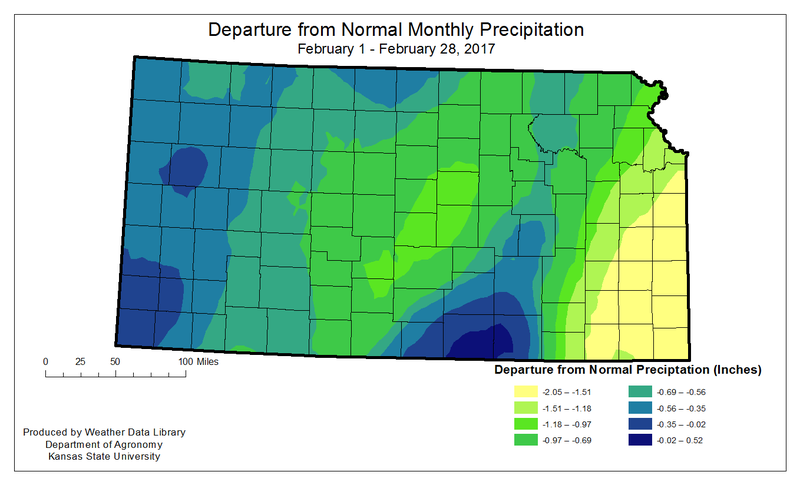 With the storms came a month of above normal precipitation, erasing drought from the state. Rains were frequent enough that even the divisions with below normal precipitation had planting delays. June Severe weather was the weather feature of the month, with most of the events in the form of hail and high winds. There were 3 reports of tornadoes, which is less than the 1950-2016 average of 14 tornadoes in June. In addition, there were 152 hail reports, and 178 high wind reports. One of the worst outbreaks came during the week of June 14th to June 20th when 117 hail events and 124 wind events were reported. The largest hail stones reported were 4.5 inches in diameter, reported near Ulysses, KS on the 20th. 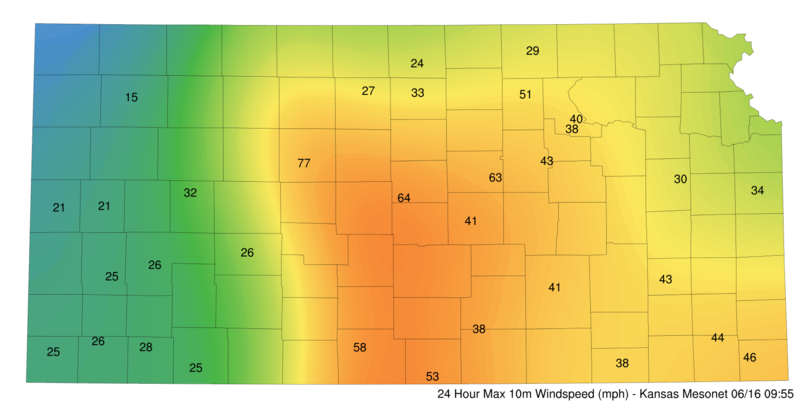 The Kansas Mesonet recorded a 24hr peak wind of 77 mph at Hays for the period ending on June 16th at 9:55 a.m.
July The most damaging event of the month was the flooding in Johnson County, following the heavy rains on the 27th. Catastrophic flooding was reported along several local streams, including Indian Creek in Overland Park, Kansas and Tomahawk Creek in Leewood, Kansas. Numerous swift water rescues were performed across the city and surrounding areas. August The most notable weather feature for August was the cooler than normal temperatures. 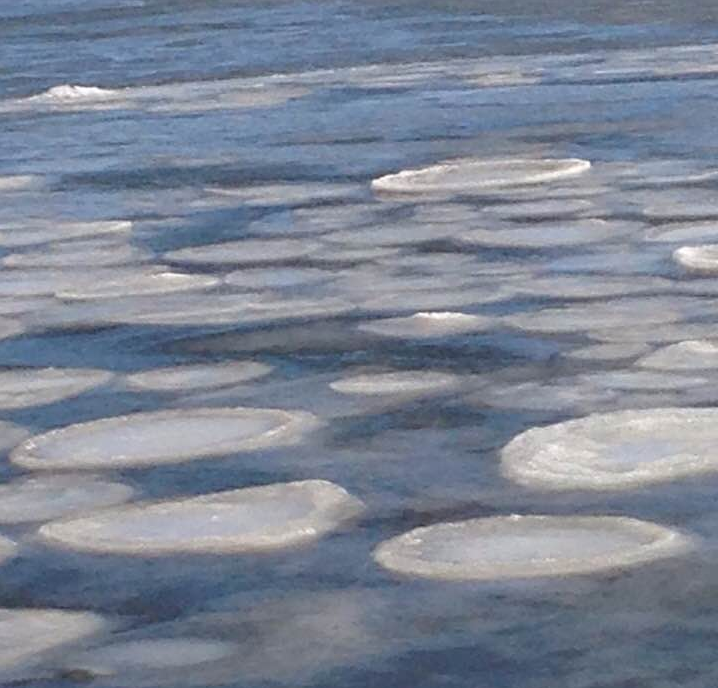 The state-wide average temperature was 72.7 oF, which is a -4.4 degree departure from normal. All divisions were in the cooler than normal range. The Northwest Division was closest to normal with an average temperature of 71.1 oF, or -3.6 degrees from normal. The East Central Division had the greatest departure; the average for that division was 72.1 oF which resulted in a departure of -5.0 degrees. The other big event was astronomical rather than meteorological, and that was the solar eclipse on August 27th. 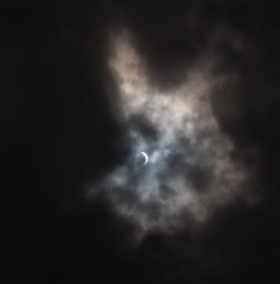 Unfortunately, cloudy weather obscured much of the path in Kansas. September The main feature in September was a split pattern in the precipitation, with the heaviest rains in the western third of the state. All three western divisions saw more than 100 percent of normal, as did the South Central Division. None of the eastern divisions saw even half of their normal rainfall. This wasn’t as much of a challenge in the East Central Division, which saw the only heavy precipitation in August. 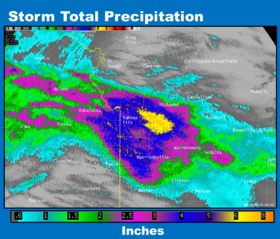 Statewide average precipitation was 2.09 inches or 94 percent of normal. October A quick switch from warm to cold marked October. The coldest reading reported for the month was 11 oF reported at both Alton 2SW, Osborne County, and Russell 2E, Russell County, on the 28th. The 15 oF low reported at Great Bend 3W on the 31st set not only a record low for the date, but also a record low for the month at that location. 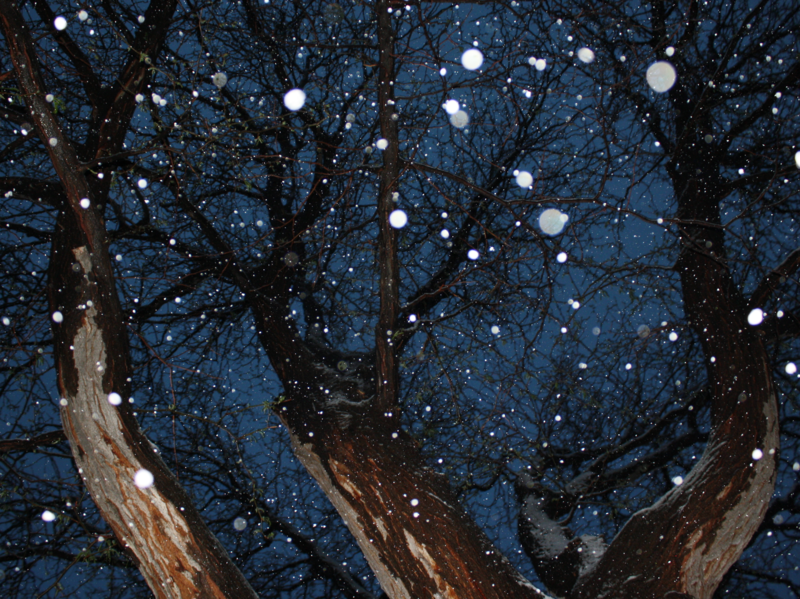 That system also brought the first snow of the season as a Halloween storm. 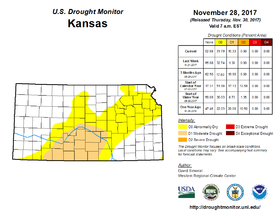 November The major climate feature for November was the dryness. Statewide average precipitation was just a tenth on an inch. 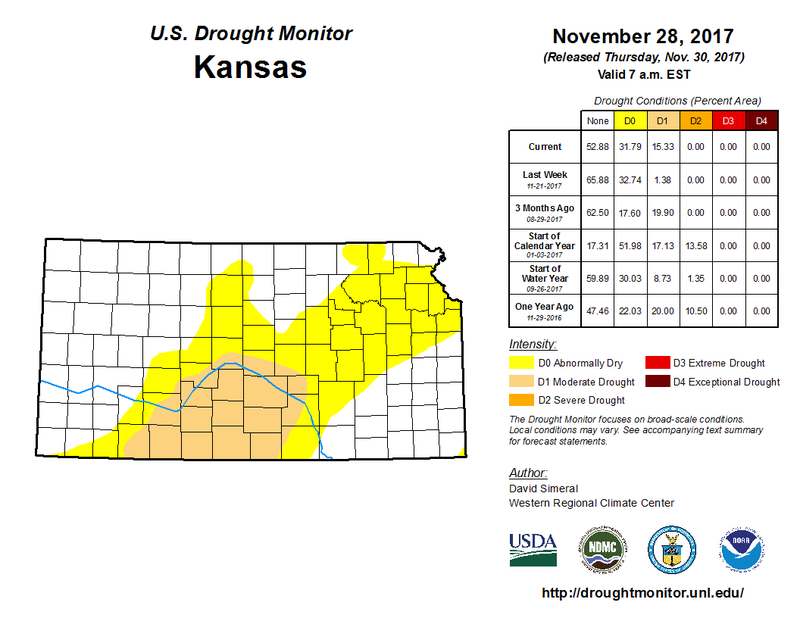 That places the month in a 3-way tie for the sixth driest November on record. The driest November on record was in 1989 when the statewide average precipitation was zero, and the greatest amount reported was just 0.01 inches. 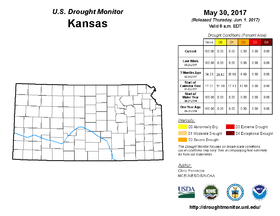 Not surprisingly, drought conditions expanded. December December started on a very warm note, but ended in the deep freeze. The statewide average temperature was 32.9 oF, or 1.5 degrees warmer than normal. 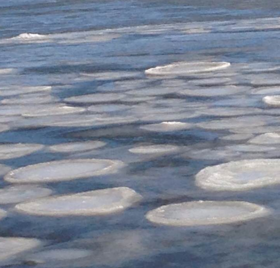 The very cold end wasn’t enough to outweigh the very warm start to the month. The first three weeks of the month all averaged above normal, while the week ending January 2nd averaged 12 degrees cooler than normal. All divisions reported sub-zero temperatures and many divisions saw the coldest readings of the year in the last three days of the month.